Within Teamwork Projects, you can request a project update from the owner of the project. 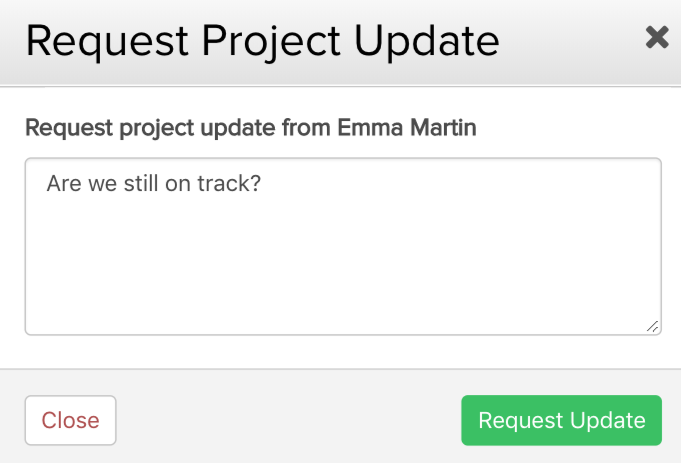 As a user on a project, you can request an update on the project directly. In the project's Overview tab, you will see the current owner listed at the top of the left pane. Click the owner's name and select the Request update option. You will then be able to add a custom message to the request. 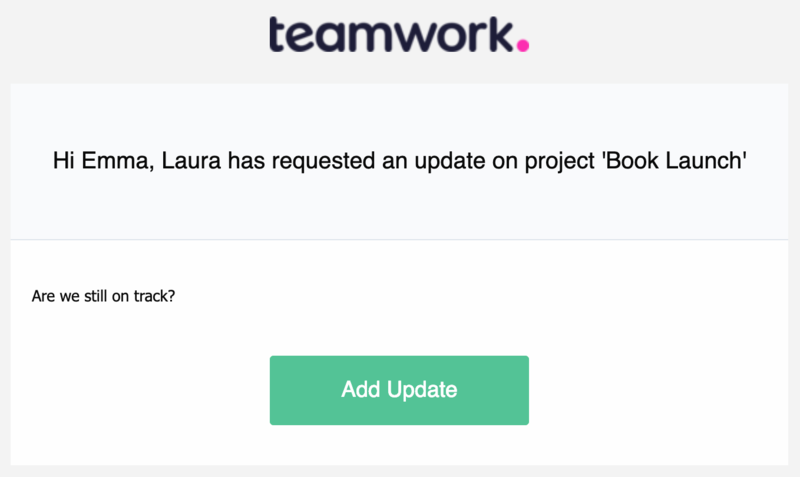 Once you request an update, the project owner will receive an email notification of the update, with an option to add an update in response. 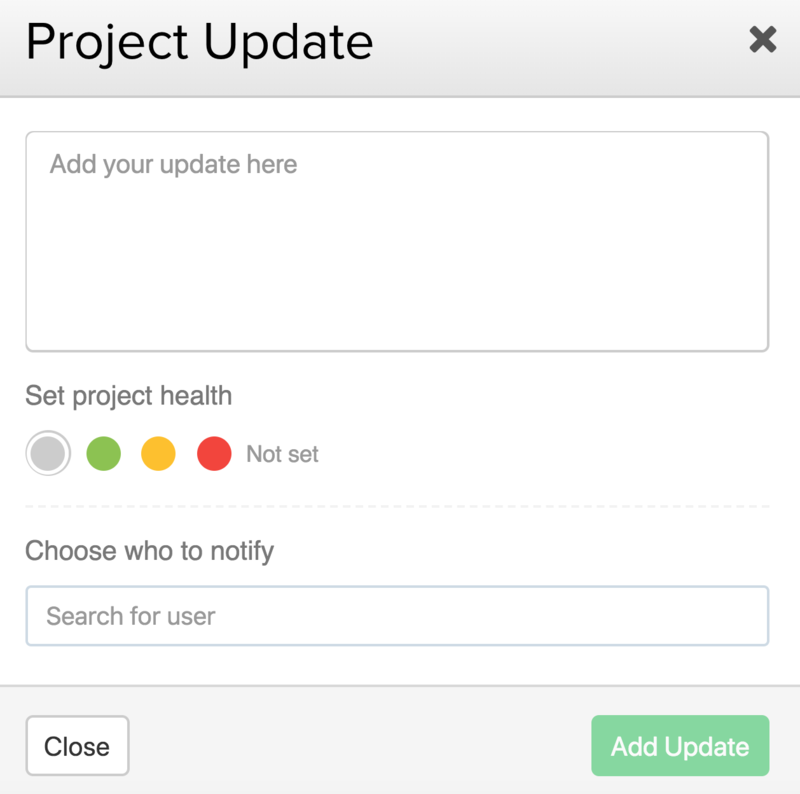 Clicking the Add Update button in the will bring you directly to your Projects site where you can add a new update to the project.